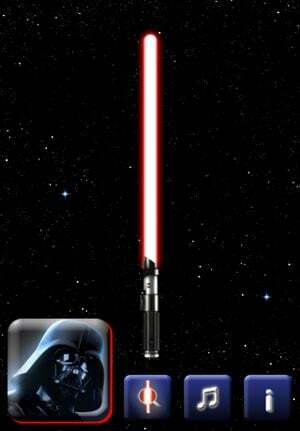 Remember the cool Star Wars Lightsaber app for the iPhone called PhoneSaber, that was removed from the App Store by the developer at the request of THQ Wireless? 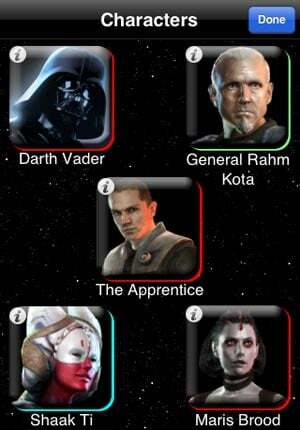 Well the developer and THQ Wireless have been working on an official version, and it will be coming back to the iPhone App Store as Lightsaber Unleashed. As you can see from the photos, the new version is a lot more polished and features characters from the new Star Wars Game, The Force Unleashed, as well as some dueling music. The good news is that Lightsaber Unleashed for the iPhone will be free, and it should be available to download from the App Store soon.